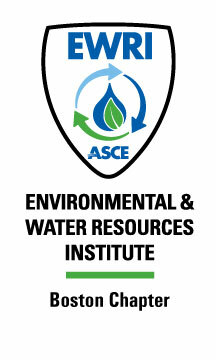 The mission of the Environmental & Water Resources Institute Boston Chapter is to provide for the technical, educational, and professional needs of its members, and to serve the public in the use, conservation, and protection of natural resources and in the enhancement of human well-being. • Sponsor dinner meetings focused on advancing water resources and environmental solutions to achieve a sustainable future. • Manage a Camp Lecture through the Thomas R. Camp Fund every other year. This lecture addresses recent developments or proposed or completed research in the environmental engineering field. • Manage a Kennison Fund Lecture Karl R. Kennison Fund every other year. This is a public lecture on the subject of hydraulics. • Each year the EWRI Boston Chapter sponsors the Freeman Lecture through the John R. Freeman Fund, as related to water resources. • Manage the Jonathan Golden Scholarship which is awarded to a graduate student who is pursuing a career in environmental engineering. EWRI Boston Chapter is currently accepting applications for the 2017 Jonathan Golden Scholarship. Please click here for application information and eligibility requirements. We meet regularly to discuss industry related topics and coordinate events that are of interest to the engineering community. If you have an interest in environmental and water resources we strongly encourage you to reach out to the chair. EWRI Boston Chapter typically holds meetings the first Thursday of every month from 5:30 PM to 6:30 PM at the Aldrich Center, One Walnut Street, Boston, MA. After the meeting members are invited to Carrie Nation Restaurant & Cocktail Club for social gathering-networking. See the event calendar for the most up-to-date information or contact the chair.